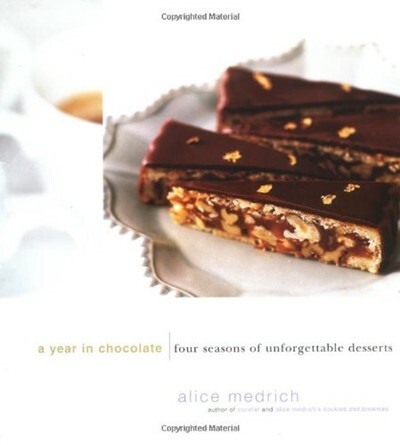 Over the past 20 years, Alice Medrich's name has become synonymous with dessert. In A YEAR IN CHOCOLATE, Medrich shares her baking secrets for creating delectable chocolate desserts with all the best each season has to offer. Readers will learn how to prepare scrumptious holiday desserts from the easiest Christmas yule log to the most festive Fourth of July ice cream sundaes. Medrich also includes such seasonal treats as Hot Chocolate Souffles, Boardwalk Bananas and Chocolate Latkes, as well as little hints and tips that turn ordinary chocolate into an extraordinary culinary experience.